At The Rodon Group, we’ve always been dedicated to constant innovation and improvement, and we’re proud to announce our recent acquisition of several new plastic injection molding machines. Amongst the new equipment are six new hybrid molding machines from Nissei’s FNX-III series — four FNX-180 III hybrid molding machines and two FNX-360 III hybrid molding machines. With greater tonnage capabilities than those of our existing machines, the new FNX-III series plastic injection molding equipment allows Rodon to offer greater production flexibility. We’ve operated this new equipment with several new production programs and have successfully run each machine in conjunction with a Star Automation Servo Robot, which we’ll discuss in greater detail below. An industry-leading automated unloader manufacturer, Star Automation specializes in unloaders specifically designed for the injection molding industry; their Servo Robots series of unloaders are among the most reliable, high-performing models available on the market. 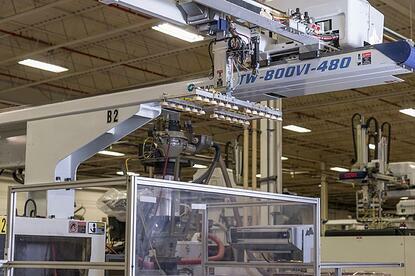 Rodon’s new Servo robots allow for efficient automatic unloading and stacking of completed, ejected molded parts. Improving our production rates while ensuring the same level of quality clients have come to expect from Rodon, these sophisticated robots feature part present sensors, part and sprue grip circuits, custom step programming, active vibration control, and defective product drop. 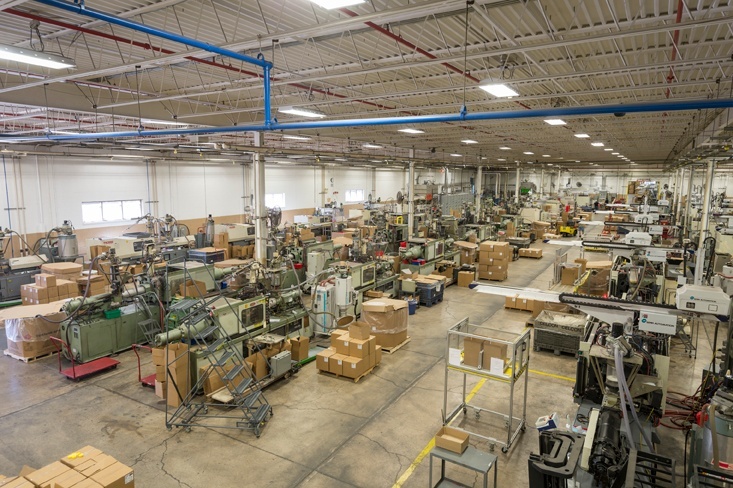 The Rodon Group is proud to be at the forefront of the many exciting advancements and trends in plastic injection molding, and our recent equipment acquisition is just one aspect of our commitment to continuous improvement. 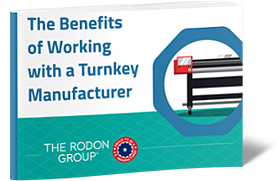 To learn more about working with a turnkey manufacturer and saving time and money, download our newest free guide today. Or, for more information on our products and services, check out our comprehensive product catalog today.